Matthias Schleiden was born on April 5, 1804 in Hamburg, Germany. Matthias went to the University of of Heidelberg from 1824 to 1827 obtaining a degree in law. Matthias Schleiden Unhappy with his profession (law) he started studying natural science at Gottingen in 1833. After studying natural science he transferred to Berlin where he focused on botany. Contributed to the cell theory by reporting in 1838 that plant tissues are constructed from individual cells. In 1838 Schleiden published his ideas in an article called "Beiträge zur Phytogenesis." Schleiden recognized that the nucleus played an important role in cell division. He suggested that the growth of new cells initiated with the formation of a bud from the nucleus of the plant cell.These conclusions were based on his incorrect interpretation of the pollen tube. While his conclusion that plants consist of cells has stood the test of time, his ideas regarding plant growth have not. 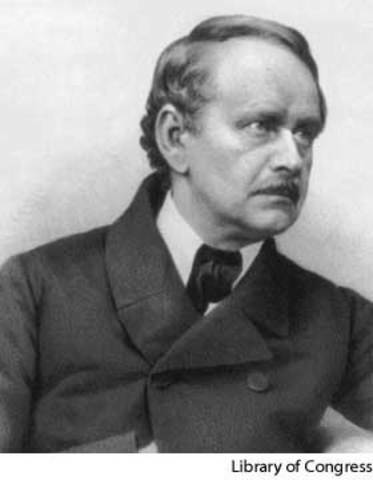 Schleiden's other contributions to life science include his observations on protoplasmic streaming and his study of mycorrhizae. 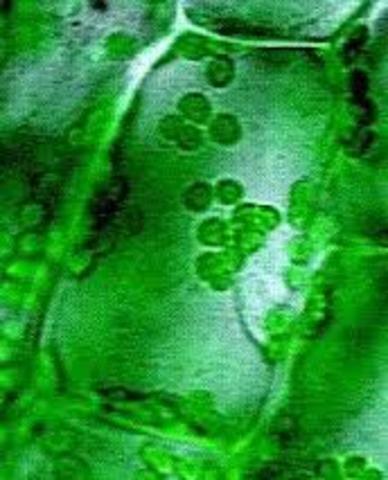 Protoplasmic streaming, more commonly called cytoplasmic streaming, is the movement of the cytoplasm, the colloidal complex of organic and inorganic compounds inside the cell. After obtaining a doctorate at Jena in Germany in 1839, Schleiden was appointed extraordinary professor of botany at the University of Jena, where he was a popular lecturer.In 1850 he became a titular professor of botany. Schleiden also authored several books, including a popular botany texbook Grundzüge der wissenschaftlichen Botanik (1842-43), and a compilation of several well-attended lectures he delivered, Die Pflanze und ihr Leben: Populäre Vorträge (The Plants and Their Lives: Popular Lectures, 1948). The second and third editions of his botany textbook were subtitled Die Botanik als inductive Wissenschaft behandelt. (English translation published as Principles of Scientific Botany: Or, Botany as an Inductive Science, 1849). The textbook was the first to include a discussion of plant cytology, and the volume introduced new instructive methods involving inductive reasoning that set the standard for teaching botany for decades. On June 23, 1881 Matthias Schleiden died in Frankfurt am main Germany.